Let me guess. You've probably already seen Les Miserables haven't you? Makes sense. After all the original production played for almost sixteen years and is still playing in London where it first opened almost thirty years ago. This new production which marks the second revival is without a doubt my favorite version of the show. Of course the original will always have a special place in my heart. Now of course I didn't get the chance to see the original cast as I didn't move to New York until nearly five years after the show opened. Cut to nearly ten years later and I finally saw it. I know what you must be thinking. If I was such a fan then why did I wait so long before seeing it? Well the truth is when I was in high school I saw a production of it in Chicago. Yes I know there is nothing like seeing it on Broadway. Now to be honest while I enjoyed the Broadway production I liked the Chicago production a little more. I guess by the time I got around to seeing the Broadway production my tastes had changed a little bit. I was more into shows like Rent and Urinetown. Now while I did not see the 2006 revival I did hear great things about it. In fact it was only supposed to run six months and ended up running for almost a year and a half. To be honest I thought that would be the last time that Broadway would see Les Miserables for quite a long time. Then the movie happened and a little over a year later Les Miserables is back on Broadway once again. Led by Tony nominees Ramin Karimloo and Will Swenson this new production besides being my favorite is a must see for all fans of the show. In fact from now thru September 27 you can get tickets to see Les Miserables at prices that are lower than ever. Just call and say that you want to see Les Miserables at an "Insider Price" and we will take care of the rest. It's really that easy. 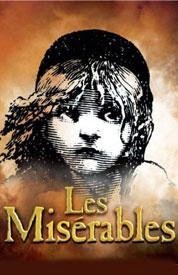 Get your Les Miserables tickets on Broadway at the Imperial Theatre. You will love it. Until next time theatre fans.